The Contech Electronics Scarecrow Motion-Activated Sprinkler presents an innovative, humane way to keep pets and wildlife from disturbing your yard and garden without the use of complicated traps or potentially hazardous chemicals. The sprinkler combines a surprise spray of water with unexpected motion and noise to create a safe, effective deterrent to unwanted visitors, helping keep your garden looking its best. 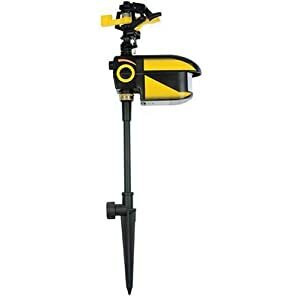 Hurry and Get 18% off Contech CRO101 Scarecrow Motion Activated Sprinkler.